The actors had their say, as winners of the 21st Screen Actors Guild Awards were handed out Sunday night. The SAG awards can be seen as a crystal ball of sorts for what may happen with the Oscars as the acting branch is the largest of the Academy. Last year, for instance, all acting winners in the lead and supporting categories (Matthew McConaughey, Cate Blanchett, Jared Leto and Lupita Nyong’o) won statues from both. However, there’s a caveat to the SAG Awards, because instead of having a Best Picture category, their top film prize is Outstanding Cast of a Motion Picture, which honors the ensemble work of a movie. There’s a confusion of sorts as to what that may mean – is it Best Picture or Best Ensemble Cast? Those are two different things. Either way, Birdman won the top prize, which coupled with its somewhat surprising win at the Producers Guild Saturday evening and enjoyed a festive weekend on the road to the Academy Award. The Best Ensemble Cast prize has about fifty percent track record with the Academy’s Best Picture. In years past, such out-of-left-field winners have included The Full Monty and The Birdcage as well as Oscar bridesmaids Inglourious Basterds, Gosford Park and last years’ American Hustle. Sometimes the SAG Award builds momentum for a previously conceived weak candidate in the instance of Crash, which in its year beat the front-running Brokeback Mountain and snapped up the Oscar in a still contentious win. 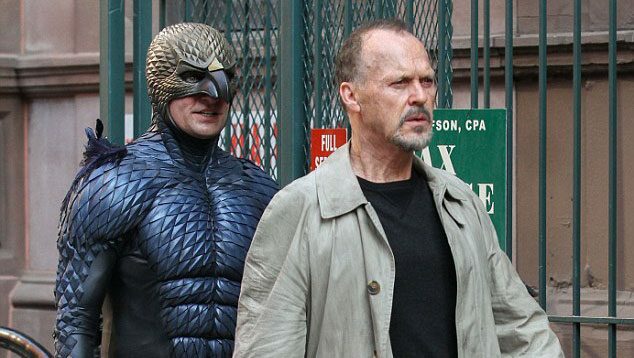 The odds, as they say, are looking strong for Birdman, but the moral of the story is it’s not over until it’s over. Other big winners included Julianne Moore (Still Alice) as lead actress, J.K. Simmons (Whiplash) for supporting actor and Patricia Arquette (Boyhood) for supporting actress. The races, considering all three contenders have already won Golden Globes and Critics’ Choice Awards, may well be in the bag.